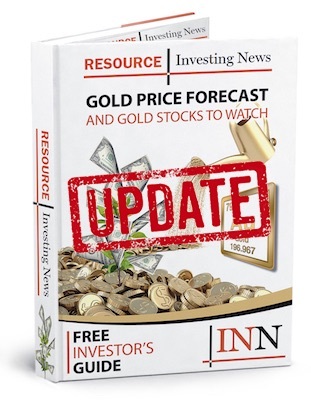 “I think there’s certainly a case to be made that gold could go sideways for a considerable period of time,” says Ian Ball of Abitibi Royalties. The gold price has traded between about $1,200 and $1,350 per ounce this year, and one CEO says market participants may want to get used to these levels. That’s not the type of news most investors want to hear. But Ball said for him it’s not a bad situation. “If your view is that gold’s going to be going sideways, you’d rather be buying [assets] at $1,200 or $1,000 vs. the high end of the range,” he explained. Ball’s company Abitibi Royalties has already made some acquisitions this year. The company, which was spun out of Golden Valley Mines (TSXV:GZZ) in 2011, purchased several royalties over the summer, with all of them being around Canada’s largest gold mine, Canadian Malartic in Quebec. Those deals were likely no surprise to those that have been following Abitbi Royalties. The company’s assets consist of royalties directly on Canadian Malartic, plus royalties on areas near the mine — and that’s exactly how Ball wants to keep it. Ball’s company is already receiving cashflow from royalties, with $3 to $3.5 million expected to come in this year. Next year cashflow is scheduled to rise to $4 to $4.5 million, “but that excludes any contributions from our main royalties, East Malartic and Odyssey,” said Ball.